SONG: "I Want To Be Free"
TOYAH: Gosh! I haven't heard that in a long time! TIMMY MALLET: That's a nice way to start off - “I Want To Be Free” and it's Toyah, welcome! TOYAH: Hello! How are you? TIMMY: I'm very well! You're very busy? TOYAH: Very busy, very busy. TIMMY: I'm so glad you could find the time to join us this evening. Now - “I Want To Be Free” - when was the last time you heard that? Must've been a while ago? TIMMY: Do you listen to many of your own records then? TOYAH: No. People within the music industry destroy my pleasure of music – critics, reporters I think destroy the entertainment value of music and destroy the purity of new bands. TIMMY: How do they do that? TOYAH: Well, as far as I'm concerned anyone who writes for a music paper is either a failed musician or frustrated in some way or another and they're just so bitter. You could either ignore music papers completely, which isn't the right way to go about it, because they are a necessary form of communication, or you can just listen to bands when they are new and that's what I tend to do. I tend to ignore … I write by my own instincts – I am inspired by very new music. In fact the best new music comes from Manchester or Liverpool I feel. I think once a band has had a hit or been in the recording studio they've sort of lost their virginity … they've sort of lost that little bit of sparkle because reality starts to hit them and as far as I'm concerned there is no reality, you can live how you want to as long as you're not harming anybody. But within our social structure things get tainted. TIMMY: Does it upset you when people say “urgh, didn't like that last record by Toyah”? TIMMY: (interrupts) Could say so many horrible things? TOYAH: Yeah ... But now everyone's entitled to their opinion. I have a public image which isn't the real me, really the music papers … Well, the dailies call me that wild punk thing – it's not necessarily true. I'm a very moody person and I change from day to day so you know people have to be able to say what they want to say. I believe in free speech, but I prefer things when they are pure and new like children. TIMMY: Now then - you're of course a talented lady because you do a lot of different things apart from singing just pop records, don't you? TOYAH: (laughs) Sorry. Yeah ... Well, I took time off from the music industry for the past sort of nine months just to do some acting because I hadn't done any real acting since “The Tempest” and that was over 3 years ago. I did the “Tales Of The Unexpected” (Toyah as Blue Marigold below) but that was sort of a misadventure really. That was too commercial acting and I'm much better at acting. TIMMY: (interrupts) What was the story - “Blue Lavender” wasn't it? TOYAH: (laughs) No! It was “Blue Marigold”! That sounded like a toilet cleaner! TOYAH: (laughs) It was about a model who loses her beauty so the only thing they had to do with me was to try to create beauty and I mean it was set in the 60's - it was just a little difficult because I'm not a tall person … er, I didn't look like a model once. It just wasn't weird enough for me – I'm better at doing weirder things really and things that are a real challenge. TIMMY: So in your break from music business what has been your big challenge? TOYAH: “Trafford Tanzi” (Toyah as Tanzi below), the play about wresting … I mean the biggest challenge there was just to walk in public in that costume. I found it really hard. I hate my physique. TOYAH: I have to fight myself the whole time and the reason I do things is to fight myself to fight my instincts which I think is very good for you to break down barriers that you have like jealous possessiveness and I go all out to break those barriers because I naturally am a very possessive and competitive horrible little person. TOYAH: Well, shove me in front of a camera or a microphone and I'm instantly turned on. I'm sort of in a way slightly conditioned, I love all this - put me it front of a human being face to face on the street and I can't always talk. I'm so involved with my career and in my fantasy worlds that when I come down to a human relationship … er, I really have to think about it. And so I was doing the theatre every night for 5 months and meeting kids outside the stage door, a lot of them were there every night, it was unbelievable. I formed relationships with people and it was a wonderful experience for me and I got over a lot of nerves but I actually can't go shopping because I can't face walking into shops. TIMMY: They say “is that her, is that her!" TOYAH: Yeah ... But that's pathetic on my part really and for the first time I was making contact with real people, people who haven't been tainted by the music industry, people who were just very pure and just enjoying life and it did me a world of good. Not only just going on stage and having to learn comedy which is sometimes the hardest way to act but just by having face to face conversations with people. TIMMY: You said they were waiting outside every night? TOYAH: Oh, they were wonderful! TIMMY: Did they just come and tell them about what they'd been up to today? TOYAH: Yeah. Well, I was slowly getting more tired as the play progressed as I was making a new album at the same time so my days were about 14 hour days … I'd go home and get at least 7 hours sleep so I was slowly becoming mentally drained and I'd get to the theatre and there was this very refreshing bunch of kids outside – I mean faces change but there were a lot of faces that were there every night and they were so refreshing … oh God they were wonderful! I quite miss them now. 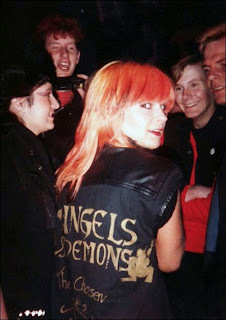 They call themselves the Angels and Demons after the song “Angels & Demons” which I wrote. They used to steal plants for me. I love plants so much and these kids used to spend all their money coming down to the theatre and they'd just hang about the stage door so I'd come out during the interval of the play, after the play and before the play and just talk to them because there's no way I could just stay in that building and ignore them. They were there for 5 months every night. And they were actually very likeable people and you'd see them - you'd arrive at the theatre and you'd see them running down the street with a tree or a bush in their hands that they had just stolen for me me and they'd admit to stealing it and then they got into this syndrome of having to nick cardboard cut-outs where they saw them, sort of Superman outside a cinema or there was this woman holding this box with famous make of film in - which I can't say the name really - and you'd see them running down the street with a half a cardboard woman in their hands they'd nicked from outside Boots for me - it's wonderful! TIMMY: What do you do with all this stuff? TOYAH: Well ... the cardboard cut-outs went to the recording studio and they're littering the studio down at Wardour Street … The plants are in my house … They used to nick everything they could get their hands on and it was never from individuals – if there was anything left on the street they'd nick it. They used to follow me from the theatre to the recording studio after the show. I'd get in the car and there'd be a convoy of fans behind me and I didn't mind because they all knew where I was going and I mean privacy was over with. For that 5 months they just knew where I was so I just let them follow me so this convoy would follow me to the recording studio and I was always quite straight, I could never spend much time with them when I was at the recording studio because I had to make the album. So I'd leave the recording studio about 5 in the morning to find that they'd made all these effigies of me in polythene that they got out of rubbish bins and there would be effigies hanging from buildings down the road of ankh - which is the cross I wear - and “hello Toyah how are you” and the whole road where the recording studio is was just littered with graffiti to do with me. TIMMY: You have some very generous fans, don't you? TOYAH: Oh God my birthday was unbelievable! I got up on my birthday after just having met Roger Daltrey the night before - which just blew my mind because he's a lovely, lovely man and we were thinking of acting together, er, but I can't really say what it's going to be. TOYAH: No, you've got enough exclusives on this one, mate. Anyway, I got up and I thought nothing can really sort of live up to meeting Roger Daltrey, I was over the moon. And what had arrived at the theatre the night before the night I met Daltrey was a diamond. TOYAH: A raw diamond valued at £300. I actually went and had it valued. Aren't I wicked? It was £300 worth. TOYAH: It was anonymous and this guy who sent it also sent me a bottle of champagne every week I was at the theatre - wonderful but I did find out who the guy was because as soon as he came in one of the usherettes would come and tell me and I used to spy on him. And he looked – he was always in tartan and he looked like a football supporter. TIMMY: What other kinds of things do you get? TOYAH: Lots of books, beautiful books - first editions, very rare prints. TIMMY: Do you ask for these things? TOYAH: Well, I suggest these things, I don't ask for them because I really don't think anyone should spend that amount of money on me. They don't know me. TIMMY: So what do you want now Toyah? TOYAH: Oh! David Bowie. (They both laugh) But I've had beautiful crystal cut glasses, goblets to drink out of, I've kitchen full of booze, a room full of chocolates. TIMMY: So we're all coming back to your place after the show? TOYAH: Oh wonderful … On my birthday a removal van pulled up from the record company full of presents - there were plants, clothes, wonderful things. TOYAH: That was my last single which I think was released around October but it only went to n:o 30. That's because we didn't make a video for it or anything like that, but we soon changed that. The next one hasn't half got a video, it really is a video and a half! TIMMY: (after a break) It's Toyah and Timmy on Piccadilly Radio, we've been talking about the fans and about “Trafford Tanzi” but you've been very busy this week, you zip off to France on Saturday? TIMMY: You've been making a video for the new single? TOYAH: Oh good on you! I didn't want to do the obvious, I didn't want a political video which is what everyone was suggesting, sort of rebels running around blowing up places. I think you know we've got enough of that in this day and age, so we thought we'd set it around “Tron” and the imagery of “Tron”, the Walt Disney movie. TIMMY: And those computer games? TOYAH: Yeah, which is quite stark and we've tried to style it around Vogue, the way Vogue sort of photograph things. The colour is very very pure and intense so we set it all in a blackout so all you really see is the movement of red and black which are the colours of anarchy anyway so you've got your little hint in there and I'm competing with 4 other characters which are 4 very beautiful black girls and they are all done up in grey with fencing helmets on and they are professional skaters whereas I'm not and I just wiggled about. But what we did with this video we had this lovely perspex armour made and I'm just sort skating about going through effects but also after “Trafford Tanzi” I thought I'd like to take up gymnastics so we put some of that into it so it's me flying through the air, hurtling through the air. TOYAH: It's dangerous if you don't have a trainer with you – you can't do gymnastics on your own. The danger in that field is breaking your back because you have to have someone there to catch you just in case you slip or fall three has to be a guiding hand to make sure you don't hit your skull and you don't snap your back. I was training in a foam pit at an Olympic gym the other week and this pit was 2 meters deep and I still managed to almost break it. TOYAH: Oh no - I've done all this out of my own free will. I want to do it because I believe as you get older, which inevitably happens, you shouldn't slow down - you should take on more challenges. TIMMY: Don't you ever want to have a stunt woman? TOYAH: Er, no way, hah, stuff that! TOYAH: Oh, definitely. I mean I even get annoyed when people try to put wigs on me because I want my own hair. You know I want … I think the more you can be you the better because it is a purer image and the only time I'd ever use a stunt person would be if I ever had to have a spider near me, I can't stay in a room with a spider … I've often thought if I ever do a film or something with insects in I couldn't do it – that's one thing I can't get over, I freak – I really freak out, I start jumping up and down and screaming. TIMMY: Now you haven't finished the video yet, I mean straight after this you're zipping off home again? TOYAH: Yes, tomorrow we've got to finish off the gymnastics shot - we're doing the roller skating which will be ever such a giggle because I'm not a good skater and then I've got just about enough time to pack and I'm off to France for 6 weeks. TIMMY: Isn't this unusual to do 2 days of video making? I mean most of them are done in sort of half a day aren't they? TOYAH: The “I Want To Be Free” video was knocked off in 6 hours which is very good but some people spend a week on a video. It does depend on the budged but it's nice to have 2 days. We had to split the 2 days up because I've been doing a lot of TV this week and of course I wanted to fit you in. TIMMY: Absolutely, good, this is the only radio interview you're in fact doing? TOYAH: Yes, you've got a special here. Yes, 2 days to make it and I'd say it will take about a week to edit it. TIMMY: So we'll see it fairly soon? TIMMY: Looking forward to it very much. Now then - you're off, as you say, on Saturday? TIMMY: To France, to where? TOYAH: Yes, but I hopefully will be popping back to do some TV specials. TIMMY: So what are you doing over there? TOYAH: Making a film for Granada. TIMMY: Tell me about it? 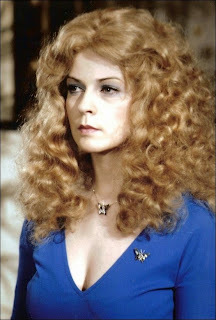 TOYAH: Granada TV are making this film, it's by John Fowlers called “Ebony Tower” - he did the “French Lieutenant’s Woman” and it's imaginary and it's about the relationship between 4 people and I'm playing an art student in it. It's a very adult part, I wouldn't suggest anyone under the age of nine should watch it really. I mean it's really the first grown up role I've done. My character is called “Freak” and she's absolutely obnoxious, she's a terrible stirrer and I can't wait to play it – she's really evil! TIMMY: I she worse than Joan Collins in "Dynasty"? TOYAH: Oh yes – it's a sort of part but whereas Joan Collins, in all due respect, is a mature woman the “Freak” is an art student and isn't mature and is a bit James Deany and it's a very cult part I feel. Sir Lawrence Olivier (above with Toyah) is playing the lead. 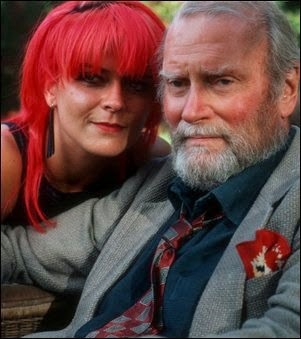 TOYAH: Oh, he's like my dad, my knees melt whenever I see him because I just want to cuddle him. I get like that and he's terribly funny and you just understand everything he's on about and his acting is just spot on. I find that I'm in awe of him the whole time but he's a lovely, lovely man and very ambitious still – suffers from nerves which intrigues me. TOYAH: Yes. I mean he gets all wound up and nervous. TIMMY: Isn't that refreshing to hear? TOYAH: It's very special I think - that's very special that you can be 50 years into your career and still suffer from nerves. It shows that he still cares. TIMMY: Toyah and “Rebel Run”. She's my special guest here on Piccadilly Radio. That's the latest single? TIMMY: Brand new one you wrote yourself? TIMMY: When is it going to be in the shops? TOYAH: Around October, we haven't got the release date yet, but don't worry all that will be announced very soon. The reason I called it “Love Is The Law” is for the first time I've written an album based around human emotions rather than alien – dark emotions I've felt a lot. I've had a lot of positive relationships and it's inspired my lyric writing a lot and I came to the conclusion that you can love hundreds of people. I know it's a hippy thing to say but you can and that's what the theme of the album is – about love. I mean it's still got its dark sides, still got its paranoia. TIMMY: Is it a different Toyah? TOYAH: It's a more mature Toyah, it's more open Toyah. I mean last year I went trough a lot of political hell – sorting out management, court room battles, I mean every band goes through it at some point or another … I just sat and thought this lot can really go to hell because all I care about is my audience so now I've stopped thinking about what the industry think about me. All I care about are the kids who give their time and give enough of their attention to write to me and things like that – not the people in the court … they (the kids) haven't ripped me off. TOYAH: I think this is the first album that I can really say is for my fans! TIMMY: And this is the first one that's been made for America? TOYAH: Yeah, this is going to be the first one in America. TIMMY: Why have you not done anything there before? TOYAH: We were supposed to 2 years ago but we had a lot of management problems which took a year to sort out so it literally halted us for last year. We had to stay in England. TIMMY: Are you nervous about what the Americans are going to think of Toyah? TOYAH: I have no preconceptions whatsoever, I can take it or leave it. TOYAH: Yeah, in a way. I care, deep down I think psychologically and ego wise I care but England is the centre of the music as far as I'm concerned. I think it's got the best and the newest talent and I'm very happy to survive here … Whereas with Europe I can take or leave Europe. I'm sounding ever so sort of fascist and nationalised here but the attitudes change so desperately when you get into Europe - they're so different, so chauvinist (laughs) and they don't seem to like English people much but I can take it or leave it. I've got to the stage in my life as long as nothing halts me physically I can take it or leave it, what happens to me happens because I've mentally strengthened up and it's not so much having the big hit singles any more, it's having the audience that wants to hear you and it's having people to perform to and to work to. TIMMY: What about the band that you work with? TOYAH: They are very free, they're free to go and do what they want to do so we're not a band legally. I thing is I want to act, I want to spread my wings and fly away when I feel the need for new inspiration so why on earth should I tie them down … Like Phil Spalding, the bass player, he recently played with Mike Oldfield and it did him a lot of good emotionally, it refreshed him a lot and I feel the same with every member of my band. 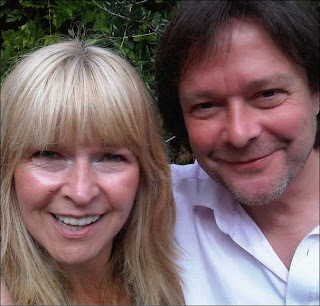 Simon Darlow, (above with Toyah in 2013) the keyboard player – he will come on tour with us but at the same time he's working on his solo career. It's been necessary to tell them to put themselves first and only work with me if they want to work with me. TIMMY: Do you throw wobblers? TIMMY: What about when you make your videos because you're determined to get your own ideas across? TOYAH: Oh, I'm not determined – I think whenever you're working on something new ... to be paid for it and I don't mean money, I mean I like to be paid in inspiration – so every time I work I like to come away inspired to do something else so I need new people around me for videos so the director is very important and I don't always use the same director. TIMMY: You've used Godley & Creme haven't you, for “Thunder In The Mountains”? TOYAH: I love Godley & Creme, I mean they're my favourites. I used David Mallet who makes Bowie's videos. TIMMY: Good name that, isn't it? TOYAH: Very good. They videos I'm doing now I'm using a guy called Keith McMillan who is a very big name, he does all McCartney's videos and it's quite an experiment for me because his videos are extremely commercial and I like my videos to be a little strange. We sat down together, it took a week of discussion to iron out the cliché’s and we went into the studio for the first time yesterday and I've got to say it was magic, it was wonderful – my worries were over … I was very worried about it. 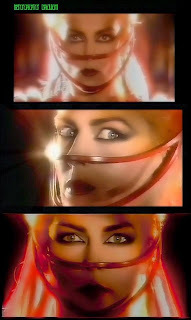 TIMMY: Are we going to see "Toyah The Video Album" like Duran Duran did last year? TOYAH: Yeah, I think one day you definitely will, I can't say when, that's up to the record company -they own the videos, they own the songs but it's up to the public demand as well. I'd like a video album out. TIMMY: So ask for a video album please! TOYAH: Yeah, I mean we're fighting for one, we've got to wait for the right time really. TIMMY: When will be the right time, what does it depend on? 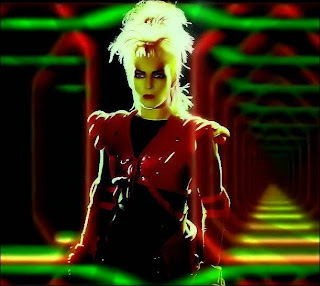 TOYAH: When I've made enough videos because I haven't made a video for every single yet and every time I write a song I have the imagery for it in my head – that's where the lyrics come from – I get the images first. TIMMY: How do you find time to write, you've been so busy doing this acting? 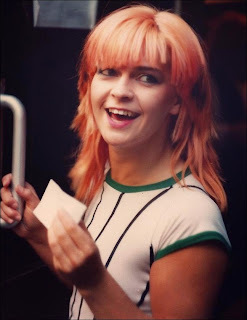 TOYAH: I write in cars, I have to write in cars – that's where all my inspirations jell, when I'm driving along I just … I don' know what it is and I don't know why - I just disappear into another world. TIMMY: Is this when you're actually driving? TIMMY: I was going to say! TOYAH: I'm always driven and as soon as I get in the car I go into my head and I can think in my head how my eyes see in real life. TIMMY: So what are you doing, I mean, do you get in the car and switch off normal conversation? TOYAH: Oh, I just turn off completely. TOYAH: Well, if you're talker yes but I always sit in the back seat so I can be left out of conversations. I do it deliberately and I always have a pad and a pen on my knee so I can write. TIMMY: Will you be writing when you're going home at night? TOYAH: Oh yes, I wrote on my way here. TOYAH: Why am I nodding when we're on the radio!? TIMMY: Well I don't know! Now – let's play another song, this is actually for your fans, why do you want to play this one? TOYAH: Because it's the anthem of my fans and I think this is not so much a rock song – it's the energy that it gives is what the songs is about. TIMMY: And why do you like this version? TOYAH: Because it's got the audience in it. 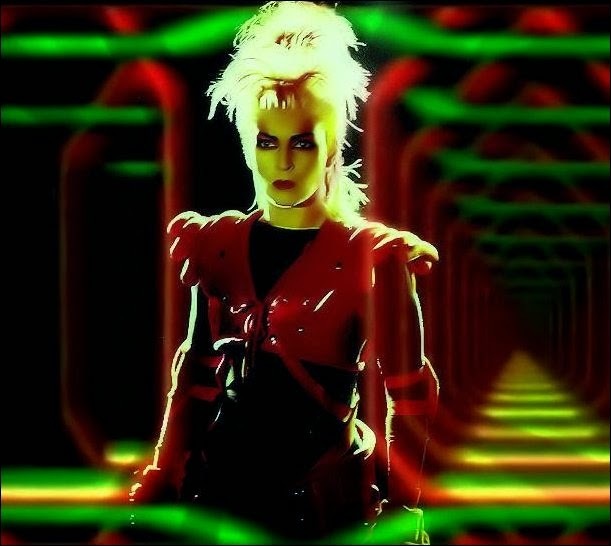 TOYAH: That was “IEYA” taken from the live album “Warrior Rock” which was recorded at Hammersmith Odeon and that was a very special tour for us because everything worked on it. The audiences were wonderful, the band was sounding good, we just really enjoyed it, it was quite a big tour for us and to end it with 4 nights at Hammersmith was very very nice. 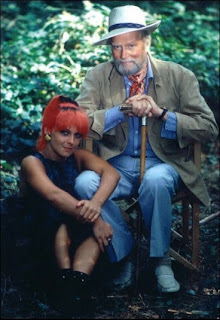 TIMMY: It's Toyah on Piccadilly, now that must be a dream come true having audiences participating in everything you do? TOYAH: It's wonderful, you just can't do without your audience being there, they feed you an energy - nothing else can give you that feeling, they're very very special. But I think you were saying before we started that you have kids that are listening that perhaps want to get into the industry? TOYAH: They want their dreams to come true. The way you can ever get anything is by thinking positively and this is much easier to say than to put into practise to work. You've just got to work so hard and never give up and you've always got to be there. Within this industry you've got to be everywhere at once, you've got have your face seen so people don't forget you and they can't forget you because everyone else is after your job. If you keep working hard and thinking positively and above all - what anyone says about you - as long as you believe in yourself that's all that matters. But I'd say if I've got anywhere because who I am I think it's because I've worked really hard, I've worked long hours, I've kept my downfalls to myself, I've kept my depressions to myself. Even when things aren't working out I'd never take it out on anyone else, you really need friends, you really need people who support you and you've got to make an all our effort to get to know people but never ever sell yourself or exploit yourself. With the acting industry girls are so ready to sell themselves and exploit themselves just for a little bit of fame. You must never do that, you must always keep your self-respect, you must always make sure people know what you are saying. It's a weird thing to say but dialect is very important so that people can understand the words coming out of your mouth. I get a lot of kids come up to me and you can't understand what they are saying because they're speaking too quickly or they're nervous or they don't understand or they've never heard themselves so they don't realise they're not pronouncing things right. That's really important, it's very important and above all whenever things go wrong you've got to be able to laugh at them – you've got to have a sense of humour. TIMMY: What do you do when everything goes wrong? TOYAH: I've been through every disaster there can be, down through having food poisoning on stage and being sewn into my costume so I mean you're just dying … and your stomach is killing you and you just got to go to the loo. I mean it's just … I actually had to let a show go rapidly downhill, I think it was at Aylesbury – I just had to let the show go downhill – I was in such agonising stomach cramps, I couldn't move and all I could hear was Joel laughing at me because Joel knew the pain I was in, he knew that I just wanted to run to the loo and he knew I couldn't because I was sewn into my costume. The whole band was laughing – Joel and I have a very close relationship on stage because we run the show. We don't have a written set list, the whole time we choose as we go along because the show depends on how the audience is reacting to you so Joel and I have a lot of contact and all I could hear through this one show was “ha ha ha” and I could've killed him! Your other disasters – you get mobbed on stage – at one show we had all the microphones nicked. I've never seen so many people on stage and every mike went and I had to scream across the hall “can we have our microphones back because we can't do the show!” and we got them back. Another show the power was turned off by the police for some reason and there was a generator there but only the guitars were plugged into it so you could hear the guitars but not me so I sort of screamed through Joel's guitar and his pick ups in the guitar picked my voice up and we carried on with the show. But those kind of things happening make the show really exciting unless you're in so much pain you can't do the show. These sort of little electrical faults, faults that God brings about – I mean acts of God – are just wonderful, you can't ensure yourself against acts of God because things like that happen through mother nature. TOYAH: Like lightning hitting a power station or the power turning off, that is an act of God within the industry. TIMMY: What about your own mistakes, when you have made a mistake and you know it? TOYAH: I've often forgotten words. TIMMY: No, I mean disasters in whatever it is you're supposed to be dealing with? TOYAH: The only ones I can think of are physical ones like falling off stage. I fell of stage once and broke an ankle but I'm such a proud person I didn't show the pain, I carried on – I just hopped about. I had to carry on the whole tour with a broken ankle, I just wore these very thick boots so I could fit the plaster in. But mistakes you can make, mistakes with the imagery like fashions, deciding on an outfit to wear – I mean it's quite important, the outfits really have a lot of influence over the music but sometimes you make mistakes and you've just got to forget about them. TIMMY: Do you find fashion important? TOYAH: Not so important, it's an interpretation but I make mistakes like getting deadly drunk and being in punch-ups. The last real punch-up was when I was here at the Sand Piper down the road. 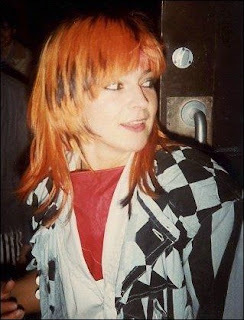 TOYAH: A member of another band called me a slag and I went for him and it was like a saloon – it was a Western punch-up. TOYAH: Yes, you bet! I had four roadies holding me down. You've got to let rip like that sometimes, you've got to stand up for yourself because one thing I'm not is a slag. I mean the guy didn't know me, he was in a very well known heavy punk band and I'm a big commercial artist so of course it's like me laughing at the Osmonds – that was what he was doing to me. But what he didn't realise is that I'm a very basic person and if someone wants a punch-up they'll get it. TOYAH: That sounds really horrible but I think there comes a time when you have to stick up for yourself in a very strong way, it's like number 1 - never being bullied. TIMMY: Alright, on that note we'll leave it and Toyah good luck with the album and best of luck with the filming of course which starts this weekend! TIMMY: Are you all packed? TOYAH: I'll be doing a list of packing! TIMMY: Don't forget your toothbrush! TIMMY: Do you speak any French? TOYAH: No! Hah! None at all. TOYAH: None at all. I'm hoping to do a lot of writing over there. TIMMY: In French or in English? TIMMY: Toyah, best of luck! TOYAH: Thank you very much. TIMMY: See you again soon I hope! 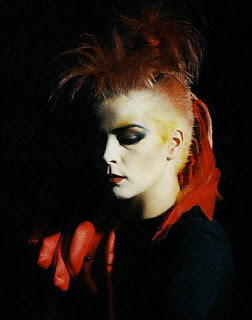 Read more about Toyah and the fans in September 1983 here - written by Chris Limb, the author of "I Was A Teenage Toyah Fan"
"I want to be free"
"be proud be loud (be heard)"
"Rebel run" and "the vow"
"soul passing through soul" and "world in action"
Three Of A Kind Series 2 Toyah performs "Street Creature" from the 1982 album "The Changeling"
Rocky Horror Tribute Show (2006)Toyah performs guest vocals on two songs, "Dammit", "Janet and Time Warp" and the full cast reprise of "Time Warp"
"The doctors" - "Afternoon Of The Living Dead"